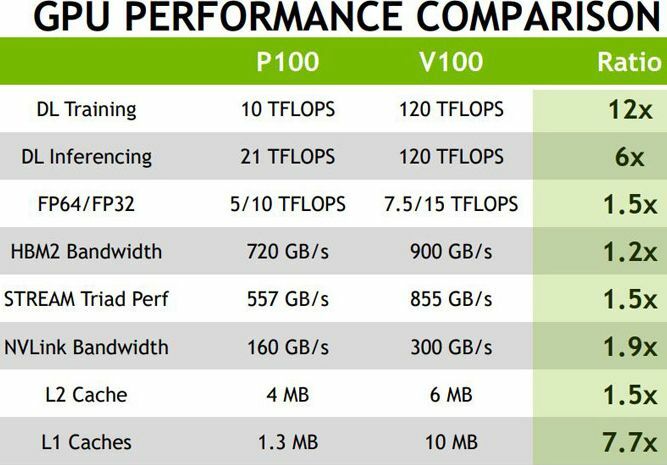 At the conference HotChips 2017, as noted by the site Serve the Home , representatives of NVIDIA talked about the advantages of computations accelerators based on the GV100 processor with the Volta architecture, which the language does not turn to be called "graphic". 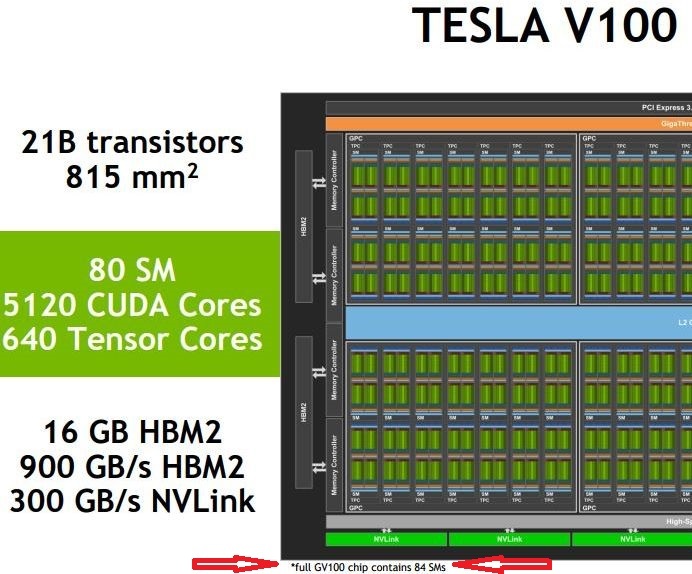 Special attention was paid to tensor computations, but NVIDIA did not miss the opportunity to recall once again that the Tesla V100 accelerators delivered to developers have hidden reserves. In any case, of the 5376 stream processors, only 5120 pieces are available to customers, although the footnote on the slide indicates the characteristics of the full configuration of the GV100 without the slightest restriction. Separately, the theoretical level of the speed of the computation accelerators is compared with the architecture of Volta and Pascal. Among other things, Volta provides the use of up to six channels of NVLink with increased bandwidth. To scale accelerated computing systems this is a very important feature. Recall that at a recent quarterly reporting conference, the head of NVIDIA refused to name even the approximate time for the appearance of game graphics solutions with the Volta architecture, but he urged consumers to wait for pleasant surprises. True, most likely, not this year. The companies AMD and NVIDIA on social networking sites had time to exchange courtesies about the successful combination of Ryzen Threadripper processors and GeForce GTX 1080 Ti video cards. An employee of the NVIDIA marketing service on Twitter recently caustically remarked that AMD "tried to cheat someone" with the "GeForce GTX" logo of a red color that could be seen through the side window of the game system on the basis of one of the Ryzen family processors at the Gamescom 2017 event. 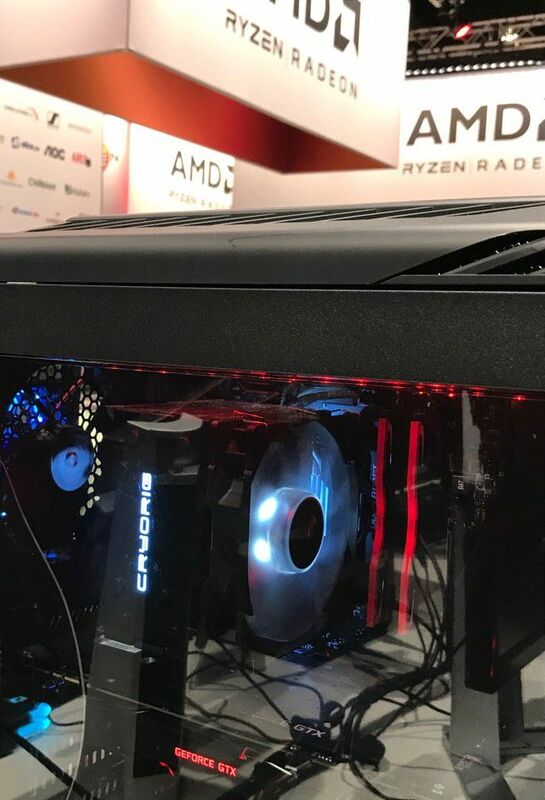 "Alien video card" was seen on the AMD stand. The use of the red logo in NVIDIA is not accidental. Participants in the discussion on Twitter assume that the GeForce GTX 1080 Ti video card from GALAX / KFA2 was used, which allows changing the color of the logo. 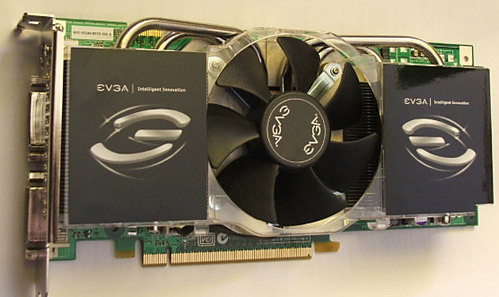 AMD has repeatedly used NVIDIA graphics cards to demonstrate the capabilities of its CPUs, but the last of the companies has treated this fact more generously. The American company Western Digital Corporation, inherited together with SanDisk assets in a joint venture with Toshiba, was very concerned about the plans of Japanese partners to sell a memory business to a consortium of Japanese and American investors, whose rival South Korean company SK Hynix. Trials and mutual threats have undermined the patience of "the number one candidate", as noted by Reuters referring to the agency Nikkei . The lack of progress on the alternative direction forced Toshiba representatives to resume negotiations with Western Digital Corporation about the repurchase of Toshiba Memory assets. Americans also want to attract a group of institutional and strategic investors, among which will be "migrated" from the previous group of Japanese banks and funds. WDC itself claims no more than 20% stake. The parties hope to reach some kind of agreement by the end of August, with the expectation that subsequent approvals from authorities of different countries will allow the deal to be concluded before March 2018. This will allow Toshiba to look more respectable in the eyes of investors and creditors, since in March the company finishes another fiscal year. This group of investors offers for the core assets of Toshiba about $ 18 billion. Microsoft began accepting applications for the updated Xbox One X game console (formerly the Scorpio project). After the announcement two months ago and the conference Hot Chips developers are willing to share details about the novelty. 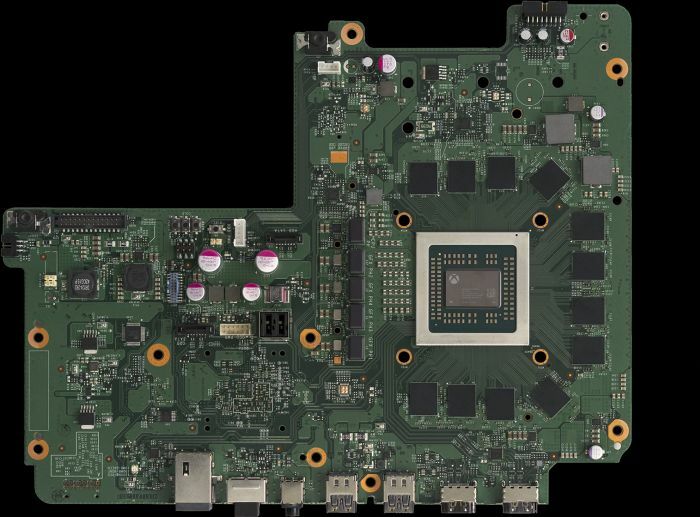 In particular, one of the designers of SoC for Xbox One X - Scorpio Engine - said that the solution is manufactured using the process technology 16FF + company TSMC and consists of 7 billion transistors. 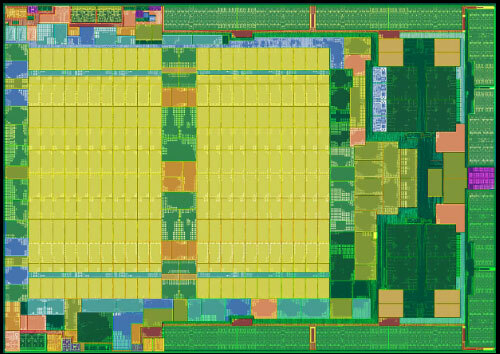 The area of the resulting crystal Scorpio Engine is one of the largest for this technological process TSMC and is 359 mm2. 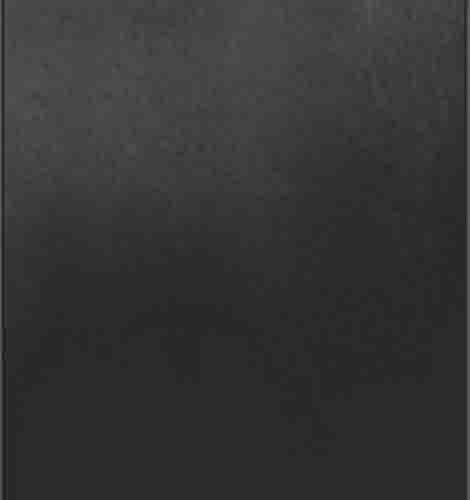 A significant part of the crystal, as seen in the picture below, is given to the graphic core of 40 execution units with a total number of 2560 pipelines. The right side of the crystal sheltered two quad-core modules on AMD Jaguar cores. Against the backdrop of the GPU, the computing cores are just pale. 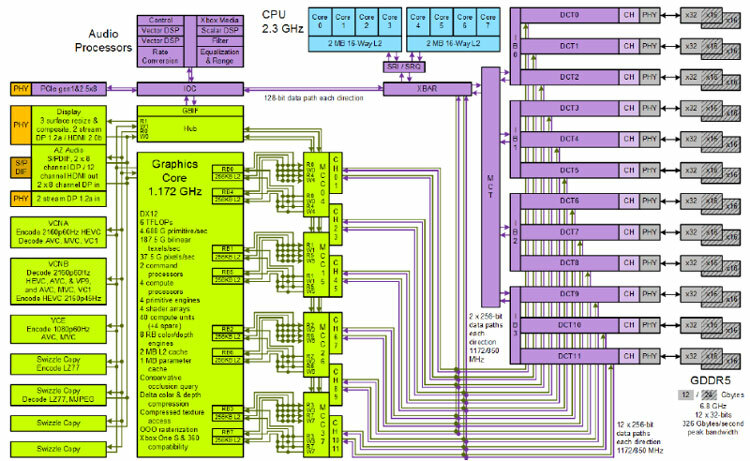 The operating frequency of the processing cores is raised to 2.3 GHz. The maximum frequency of graphic pipelines reaches 1172 MHz. A large block of memory, and developers have stopped on memory type GDDR5 with a throughput of 6.8 GHz, greatly simplifies the work of programmers. This also allows you to emulate the previously used eSRAM built-in memory, which is necessary for compatibility with games for previous consoles, when the eSRAM unit was part of the console's processor. In the Scorpio Engine, as already reported, the eSRAM block is missing. Despite the considerable bandwidth of the new type of HBM2 memory, the developers refused to use it in the new console. 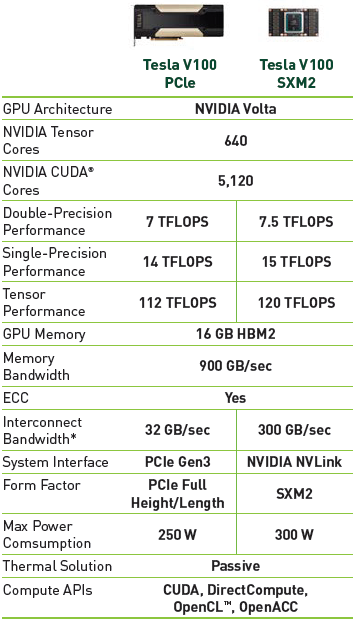 First, the memory of HBM2 is still in short supply. 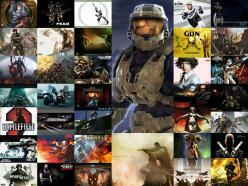 Secondly, it is quite expensive, which follows from the "first". Thirdly, the HBM2 memory is characterized by developers as inflexible. The bandwidth of the HBM2 memory can not be controlled (in any case, within the limits required by the designers). This would force the closure of this characteristic and limit other possibilities. 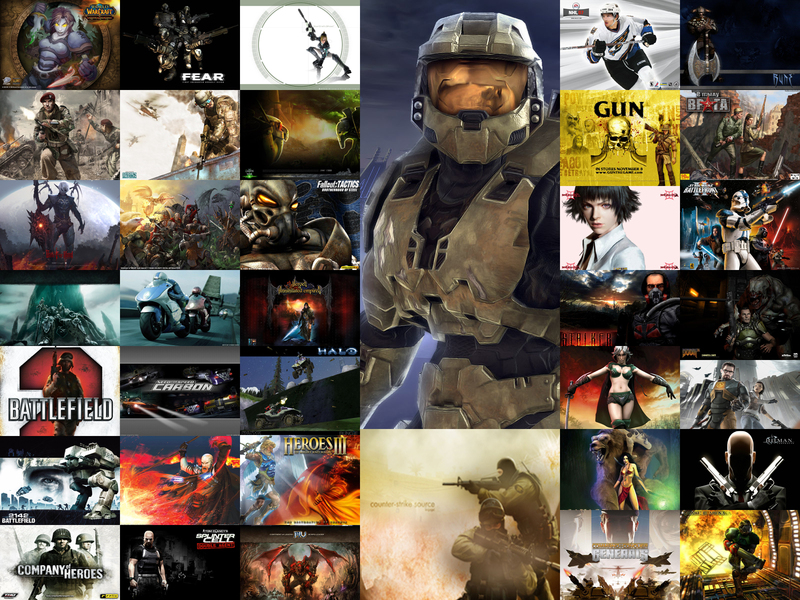 In conclusion, it remains to say that the delivery of the new Microsoft console, aimed at games in 4K resolution, will begin on November 7. The issue price in the US will be $ 500 .